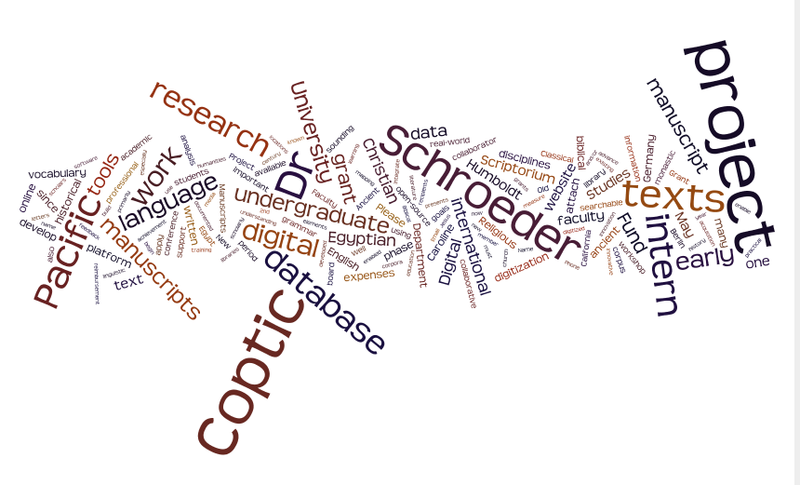 Since I’m starting a new, big digital project (Coptic SCRIPtorIuM), I spend a fair amount of time scaring up resources. The first week of November saw one internal funding proposal at Pacific for seed money (fingers crossed)! 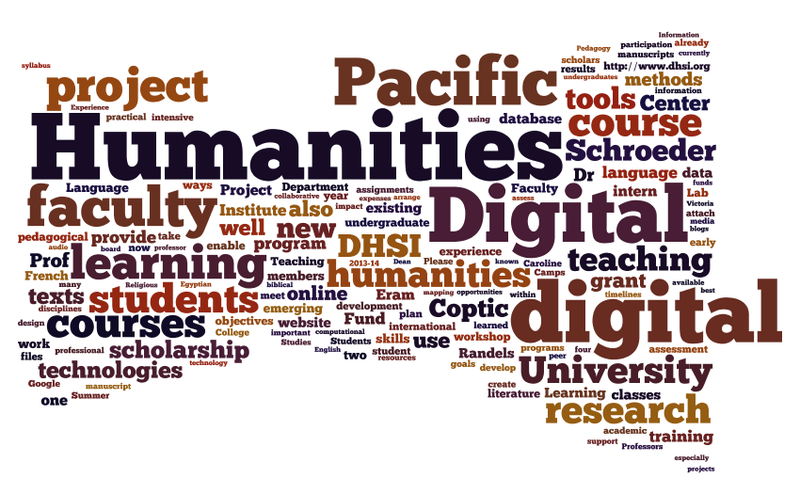 As the Director of the Humanities Center, I’m also trying to get together funding to attend the DHSI in 2013 with a few colleagues. 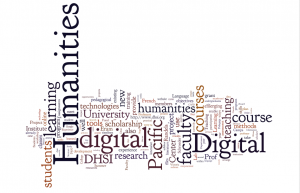 Pacific currently has no real Digital Humanities program, though we have some faculty doing digital research and scholarship, and we have some outstanding digital media faculty working and teaching in film and photography. 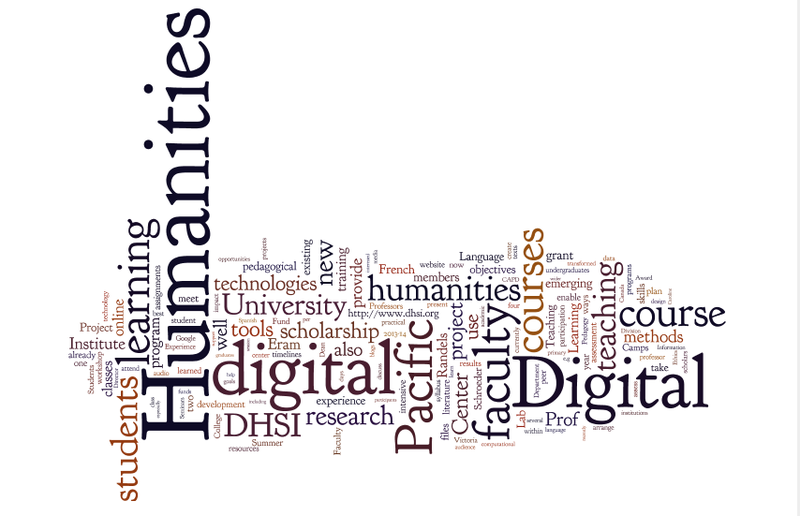 Four of us are going to the DHSI in June to learn some of methods and technologies for integrating digital humanities into the classroom. I wrote or co-wrote two internal funding applications for this venture this week, as well. 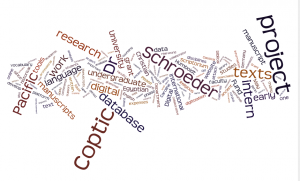 This entry was posted in Digital Humanities, Scriptorium, Teaching, University of the Pacific and tagged Coptic, grants, linguistics, manuscripts, pedagogy, Shenoute. Bookmark the permalink.